Here is the interesting point. Some carriers don’t even ask the question about sleep apnea. That is right. They don’t care. 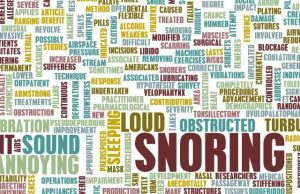 So, if you have sleep apnea, and you have no other significant underlying health conditions, who do you think we will use? That is right – the carrier that doesn’t ask the question about sleep apnea. As we mentioned, burial insurance underwriting is a simple “yes/no” application. Some carriers then follow the application with a phone interview. We prefer the ones that don’t when possible. After that, a coverage determination usually is instantaneous or a couple of days thereafter. (1) do you currently require oxygen use? (2) are you currently using oxygen equipment to assist with breathing? (3) has the proposed insured been treated with oxygen during the last 12 months? (4) is the proposed insured currently requiring oxygen equipment to assist with breathing (excluding use for sleep apnea)? If you have sleep apnea, the first 3 questions are “yes”. The carrier declines your application. However, on question 4, truthfully your answer is “no”. Who would we use for your burial insurance? That is right; the carrier who doesn’t ask the question about your sleep apnea (or, in this case, excludes it). That sounds, great, John, you say. But, I am sure the carrier in question 4 will charge me a lot because I have sleep apnea, right? Well, probably not. For a male, age 65, looking for $15,000 of burial insurance, the carrier in question #4 charges $82 per month for level benefits. That is one of the lowest premiums available. So, to answer your question, likely not, assuming you don’t have other significant health conditions. Carriers will run your background through a few different databases to make sure what you say on the application matches to your records. One database is the MIB. The MIB looks at your insurance application history. It can see when you applied for insurance in the last few years. If you applied to several life insurance carriers, the carrier will want to know why. It will also raise any red flags if what you said on your application does not match to any previously released information, through your application history. They will also look at your prescription drug history. Carriers can see all of that. (Even the ones I take.) If an answer to an application question does not match a prescription drug you take, that will be a red flag. For example, if you take an inhaler for emphysema, but say no to the question, “in the last 2 years, have you been diagnosed or treated for emphysema?”, the carrier questions your truthfulness. That’s why a majority of the carriers conducts phone interviews with an underwriter. They look all of that stuff up while on the phone with you. The interview usually lasts 10 minutes, sometimes less, sometimes more. An underwriter conducts the interview and will either approve or modify on the spot or a couple of days. Remember that lying on a life insurance application constitutes fraud. Obviously, fraud is a bad thing. There is no need to lie. We will find you the lowest cost policy for your situation, which we discuss next. Just to recap, in terms of a burial insurance policy, if the application doesn’t ask about your condition (in this case, sleep apnea), likely the carrier disregards the condition. This holds true even if you take prescription medication for your condition. There are a few types of burial insurance for people with sleep apnea. We will help you make sense of them. The first one is called level benefit. This means the death benefit has “day 1” coverage. Level benefit coverage is what we want. It is also, generally, the least expensive burial insurance option. Let’s say Jim applies for $20,000 burial insurance. The carrier approves him with level benefit coverage. Six months later, Jim, unfortunately, dies suddenly. Jim’s beneficiary will receive the $20,000 to help pay for Jim’s funeral costs. The second one is called graded benefit. Think of this as a “waiting period” for death benefit coverage. Depending on the carrier, the waiting period could be 2 years or 3 years. If you die within the waiting period, the carrier usually reimburses your premiums plus interest to your beneficiary. An example will make this clear. Let’s use the same example, except the carrier approves Jim for graded benefit coverage. The graded death benefit is 2 years. Should Jim die of natural or sickness within2-year year timeframe, the carrier will reimburse his beneficiary the premiums plus 10% interest. If Jim dies year 3 and after, the full death benefit paid to his beneficiary. One caveat: beneficiaries receive the full death benefit if death by accident. Unfortunately, Jim unexpectedly dies by sickness 6 months later. His beneficiary receives the premiums back plus 10%. People with many health complications usually end up with graded benefit coverage. It is, by no means, bad. However, we aim to find level benefit coverage when possible. Level benefit coverage usually means the lowest cost for you. There are a couple more types of burial insurance for people with sleep apnea. If you can’t obtain level benefit or graded benefit, there is guaranteed-issue coverage available. This means just as it sounds: you automatically receive coverage. Just fill out an application and answer a few non-health questions. The carrier does not run your background through the MIB or prescription drug history. Guaranteed-issue coverage contains a graded death benefit, usually 2 years. We work with a few different guaranteed-issue carriers. Sometimes, the cost of the guaranteed-issue insurance coverage is less than that of a traditional graded benefit policy. If that’s the case, it makes sense to apply for the guaranteed-issue coverage and not waste your time with a traditional graded benefit policy. We also utilize a funeral trust. Funeral trusts pay the death benefit directly to the funeral home. They also protect your policy from the Medicaid spend-down process. That is right. Whole life insurance, including burial insurance in most cases, is a spendable asset for Medicaid since it contains cash. That means if you need to go into a nursing home, Medicaid will force you to terminate your life insurance policy and use the cash for your nursing home care. If that happens, you have lost the initial intention of the life insurance. We don’t let our clients get to that point. We expedite the transfer of the cash in your burial insurance policy into the funeral trust, where it will be protected. Contact us to learn more. Now that you know the types of burial insurance available to you, which type do you think we will choose? That’s right. The one with the lowest cost and that best fits your situation. People with sleep apnea can obtain level death benefit coverage. As we said earlier, sleep apnea by itself is not an uninsurable condition. However, there may be other health conditions that affect your approval. If you are overweight, have diabetes or cancer, or have some other significant health condition in addition to sleep apnea, the chances of a level death benefit coverage are lower. That is where we come in. We have helped people with sleep apnea AND some other health conditions obtain proper coverage, usually at level death benefit coverage. There is no reason that you have to pay an arm and a leg for burial insurance if you have sleep apnea. Even if you have additional health complications, we can likely find a policy that will meet your needs and budget. We hope you found this article informative. You can obtain burial insurance if you have sleep apnea. Are you ready to find out what you are eligible for? Feel free to contact us or use the form below. We work with many carriers in the burial insurance area and know we can find the right coverage for you. As with everything we do, we work with your best interests at all times. That means if there is a better option for you than what we can provide, we will help put you in touch with someone who can.